Union Bay Improvement District Trustees Vote to Suspend Audio and Video Recording of Public Meetings. Union Bay – the only community going backwards. 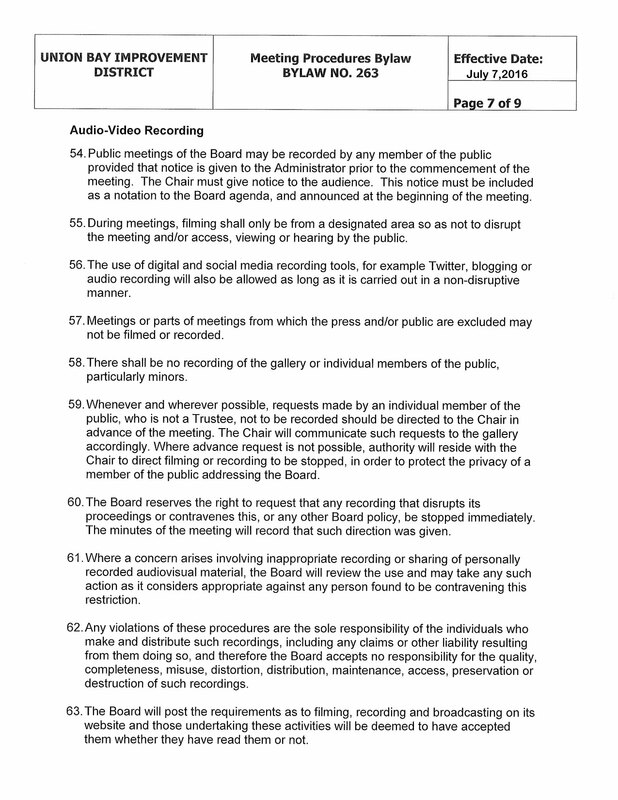 This is the page from the Meeting Procedures Bylaw regarding audio/video recording of meetings. …the Board will review the use and may take any such action as it considers appropriate against any person found to be contravening this restriction. It’s pretty obvious I am the person these three trustees have a problem with recording these meetings. Last night was the first time any of the three voiced concerns. 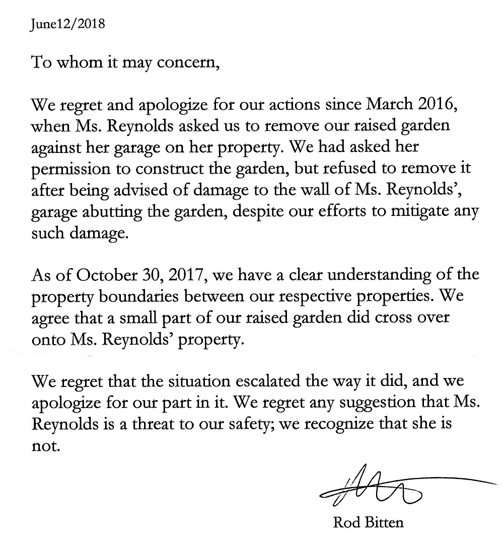 Instead of enforcing the bylaw by taking action against me (the person), advising I have contravened the bylaw, they chose to completely stop any recording temporarily. When pressed during the Q & A the administrator stated it could be up to six weeks. They claim they will record the meetings and post them on the UBID website. Considering how poor the website is already with no search function, bylaws and documents missing, very limited information as it is. This is their way of stopping the recordings because the video is proof of their ignorance and you can’t change what you are. What are they afraid of? The Truth? Bitten claims anyone can access the audio recording the administrator uses during the meetings. Really? When did this become policy? I suspect it’s another statement made by this trustee which is based on nothing. If these three trustees wanted the landowners to have access to those audio recordings, why aren’t they on the website now? This is for trustee Rick Bitten as he obviously is unaware of what took place before being bestowed wisdom by the simple act of being elected. The discussion and passing of the bylaw in May 2016. See how handy it is to have video to refer to? There’s no reason to be ignorant if you’re actually interested in obtaining information.